favorite perspectives. 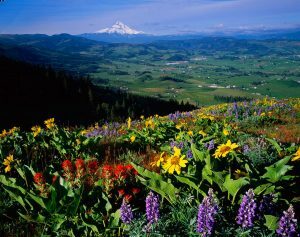 Near the top of the beautiful Hood River Valley, lies the town of Parkdale. 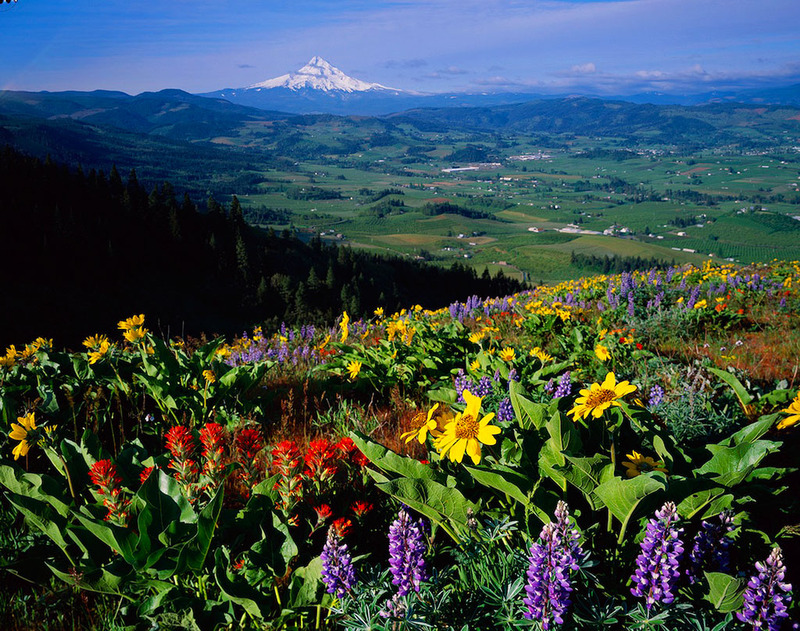 Parkdale is quaint and best known for its orchards and stunning views of Oregon’s tallest mountain. 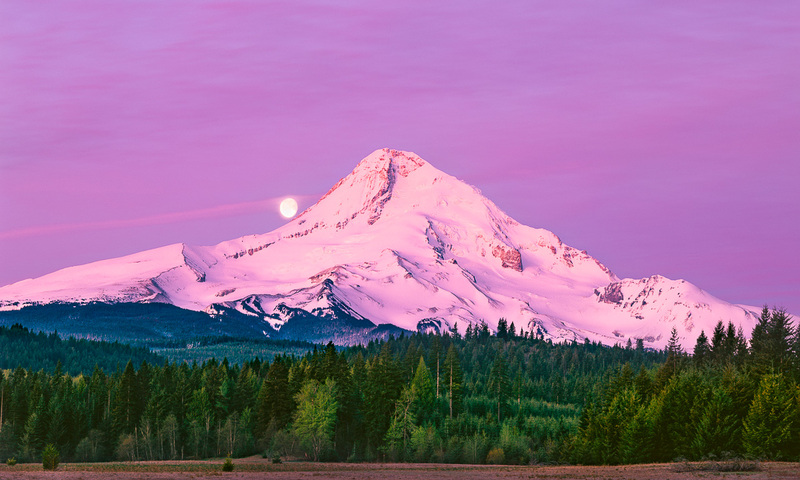 I captured this beautiful fine art print of Oregon’s tallest mountain after a fresh dusting of spring snow as the moon hung over Hood’s eastern shoulder. 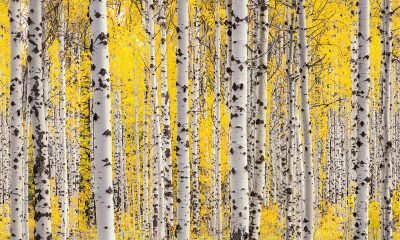 The detail in the fine art print of this image is stunning. 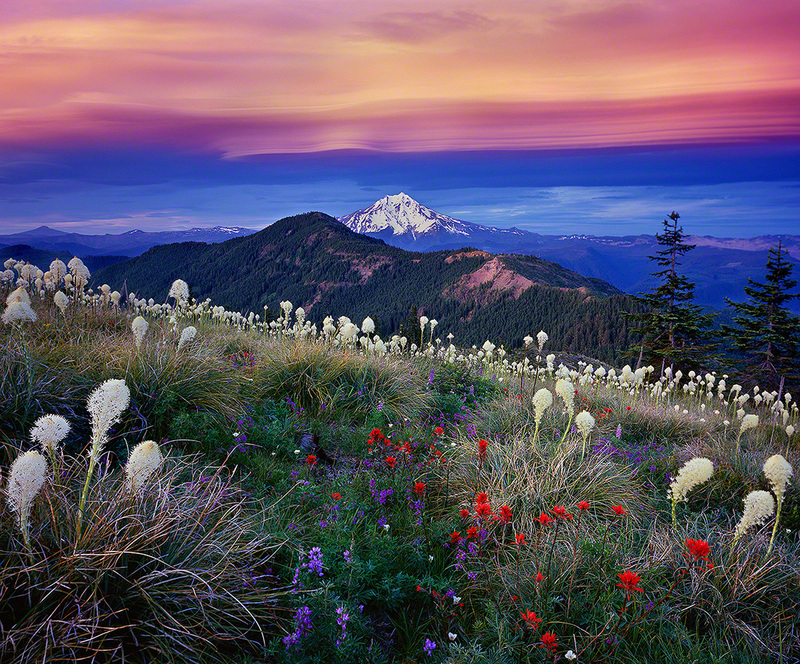 The foreground forest, artistic clouds and warm pre-dawn light make for a stunning fine art photograph of Oregon most visited mountain. 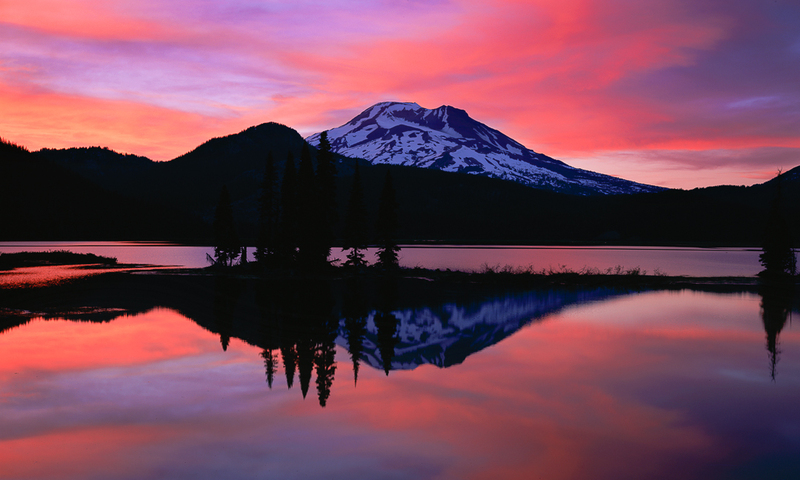 Because we have fantastic friends that live in the city of Hood River, I make periodic photography related trips to the Mt Hood area. Special shout-out to Chrissy and the Chief for all the free housing, you guys are the best! I have occasional exhibits in the Hood River area, including at the amazing Pine Street Bakery in Hood River as well as at the Double Mountain Brewery in Hood River. 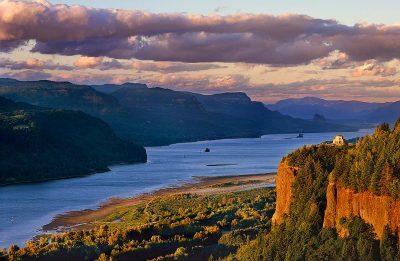 Please visit my Facebook page for updates regarding exhibits in the Hood River area and elsewhere in Oregon. I’d like to give one more shout-out, to one of the nicest people I’ve ever met, Chuck Blakeslee. 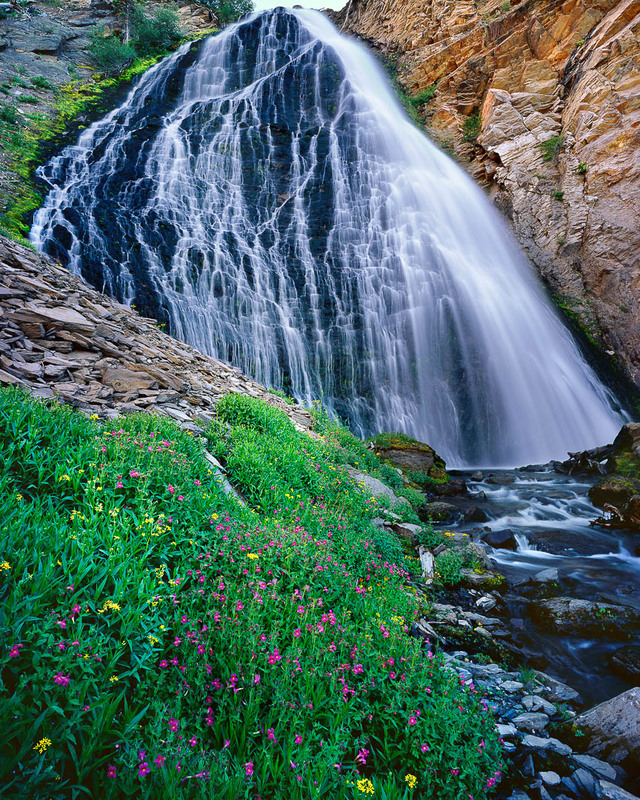 Chuck is an accomplished pro photographer and published what is still considered the most definitive photography book of Oregon’s Crater Lake National Park. I met Chuck the morning I captured this new photo of Mt. Hood while waiting for the magical light to enliven the mountain. 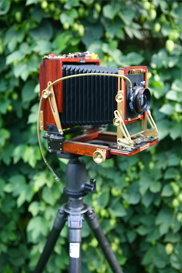 Chuck was shooting a medium format camera and I was working with my “Big Rig”, a large format Wista field camera. As I was composing the scene, Chuck noticed me, approached and introduced himself. He made me nervous! Because….he was one of my early photographic influences who I genuinely look up to and who I truly respect. Chuck has proven to be one of the most kind, warm, open and gracious people I’ve ever met. I periodically look to him for advice and he has always been infinitely helpful. He has the warmth and comfort of a man who has no insecurities. Chuck, thanks for your kind words and sharing nature! Since the day I captured this new print of Mt Hood, I’ve met many people who share my opinion of Chuck. Kind, warm and helpful.